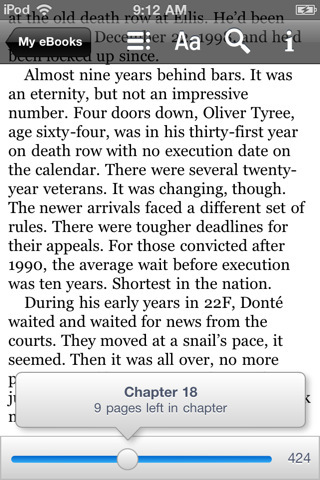 1. eReader By Fictionwise, Inc.
Read New York Times best-selling electronic books right on your iPhone or iPod touch! NEW! Version 2.1.3 has been updated to run on the latest iPhone OS – 4.0 and iPad. This is on top of the cool new features we’ve already added like cover flow, thumbnails, speed enhancements, improved access to other ebook sites like Manybooks, and more! Over 100,000 e-books are available and thousands more are added each month via top eBook retailers like eReader.com and Fictionwise.com. The eReader application also lets you upload your own personal content or eBooks from many other web sites. You are not locked into any one site. 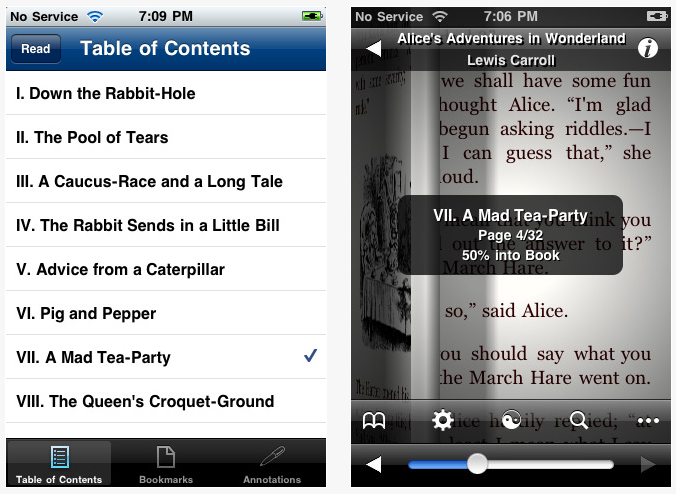 The Google Books app offers access to over 2 million Google eBooks on your iPhone, iPod touch, or iPad. Take your favorite books with you on the go. 3. Audible by Audible, Inc.
Audible.co.uk, the UK’s largest provider of digital audiobooks, is now available on your iPhone and iPod Touch! 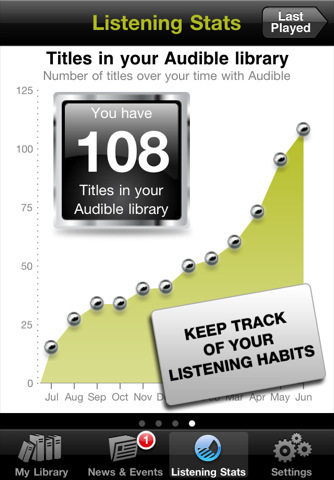 This free app features the most comprehensive audiobook experience ever, including Wi-Fi delivery of your Audible.co.uk library, detailed listening stats, and much more. 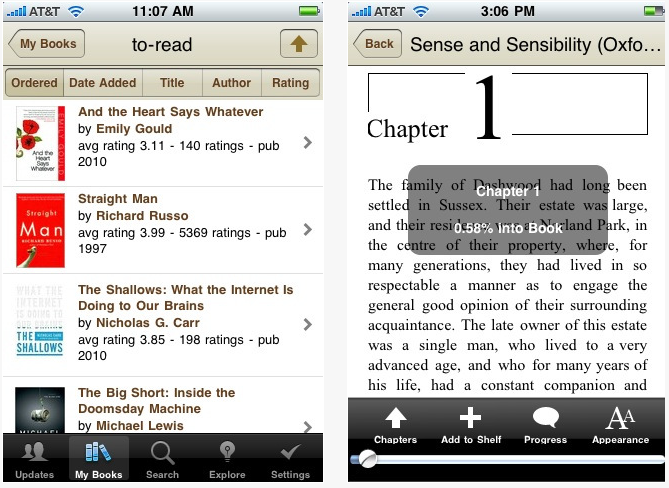 Tap into the world’s largest social network for readers with the Goodreads iPhone app! No other app combines the power and depth of the Goodreads community with an enormous catalog of books and book reviews. Read reviews of other members and friends, keep a virtual bookshelf of what you’ve read, use our NEW barcode scanner, and build your to-read list as you discover great books either on the app or out and about in the world. Goodreads is a free website for everyone who reads. We have more than 5,400,000 members who have added more than 100,000,000 books to their shelves. Our mission is to help you find new and interesting books by showing you what your friends are reading. Browsing Goodreads is like wandering through the world’s largest library. Find thousands of book reviews and peruse the bookshelves of friends and other readers. Post your own reviews and keep track of what you have read and want to read. 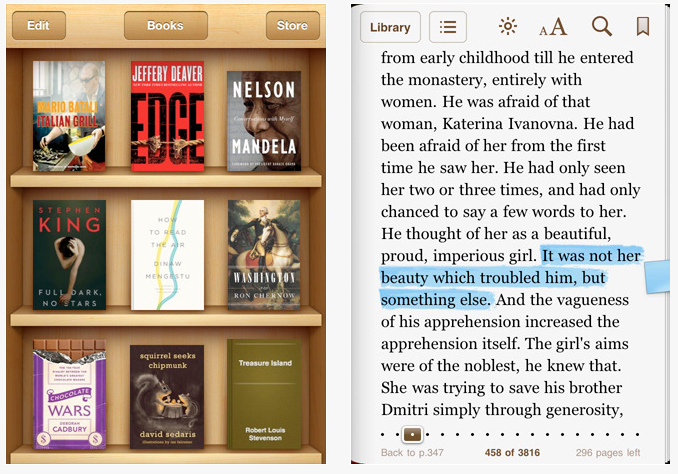 • Find a word, character, or phrase anywhere in your book with the built-in search feature. More…. The Kindle app is optimized for the iPad, iPhone, and iPod touch, giving users the ability to read Kindle books on a beautiful, easy-to-use interface. You’ll have access to over 700,000* books in the Kindle Store. Amazon Whispersync automatically syncs your last page read, bookmarks, notes, and highlights across devices (including Kindle), so you can pick up your book where you left off on another device. • Shop the Kindle Store by visiting Amazon for over 700,000* Kindle books. • Get free book samples – read the first chapter free before you decide to buy. 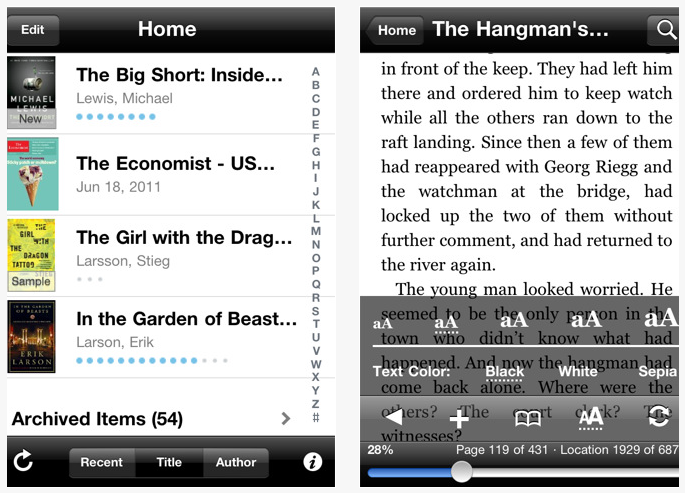 • Customize your reading experience by choosing the background color, font size, and either portrait or landscape format. • Instant dictionary word lookup with 250,000 entries and definitions. Tap and hold a word to view the definition. Use the Google and Wikipedia links to get more information. 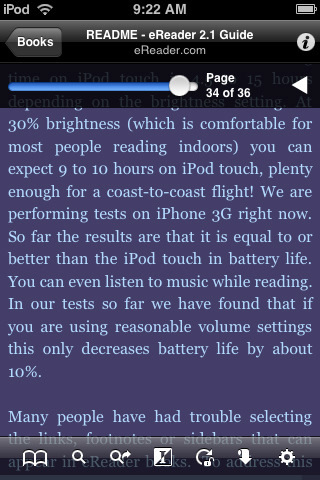 Read books on your iPhone, iPod Touch, and iPad! Lexcycle Stanza brings the digital book revolution to your pocket with a reading interface that is unrivaled in its clarity and ease of use. With over 4 million downloads around the world, Stanza has become an iPhone phenomenon, and is featured as one of the top three Apple favorites in their “App Store Turns 1” celebration. Purchase popular new books from a selection of over 50,000 contemporary titles available in various partner stores, or choose from an additional 50,000 free classics and recent original works available from Project Gutenberg, Feedbooks, and many other sources. Store and categorize hundreds of books in the organizer, and transfer your own ePub, eReader, PDF, Comic Book Archive (CBR & CBZ), and DjVu books from your Mac or PC to Stanza by dragging & dropping the files into the “File Sharing” section of the “Apps” tab of your device in iTunes.